Chicago, Illinois, April 17, 2018	(Newswire.com) - Remodista, a think tank focused on understanding the disruption in business, has announced the addition of their Australian Women2Watch Retail Advisory Board after two years of growth and expansion in the market. The board is made up of 11 women in leadership roles at Australian retail focused companies. The new members join the existing 15 members that make up the United States Retail Advisory Board. Founder and CEO, Kelly Stickel shares that the growth of Remodista in this country has come authentically through her collaborative community of thought leaders. “We have a lot of work to do in terms of diversity and equality in businesses and retail is no exception. I am delighted to be part of a group driving and forcing change. It really brings a spotlight onto something that is critical to the success of business.” said Julie Mathers, founder and CEO of Flora & Fauna. On a broader scale, there is a bigger opportunity to shine a light on the innovation happening with women leaders in Australian retail. With just nine female CEO’s and 10 women chairing Australia’s largest 200 companies, we know there is an opportunity to make an impact. “I am very honored to be part of the Women2Watch Retail Advisory Board. Advancing the careers of women and supporting them in their journey to professional and personal success is something I am very passionate about,” said Alice Kuepper, Managing Director of Online Retailer. With the success in the Australian market, Stickel and Remodista have their sights set on European expansion next. “By adding a retail committee, we are digging deeper into the region to drive, expand and grow our presence with a focus to help cultivate these women leaders and elevate their thinking as pioneering thought leaders,” says Stickel. 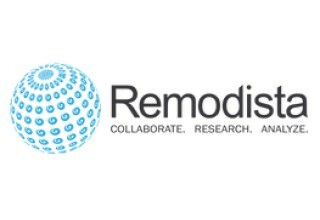 Remodista: Founded in 2010 by Kelly Stickel, Remodista is a think tank examining disruption in business. Their mission is to provide insight, education, and innovation to global brands through collaborative research and analysis. By identifying challenges, Remodista builds and tests assumptions that prepare leaders for the future. The retail advisory board includes leaders from Revlon, PayPal, TUMI, Adore Beauty, MODABOX, and HBC Digital.